OTS operates a fleet of fast, fuel efficient, versatile vessels that transport technicians, cargo and fuel to offshore work sites. Its Integrated Management System ensures quality, safety and protection of the environment are at the forefront of everything we do. Its experienced personnel will ensure that your project is completed safely and on time. ISO 9001 and ISM accredited. OTS’ operations base is in Brixham in Devon. Since 2012, they have launched seven vessels all of which are 18.5 resin infused catamarans with Rolls Royce jets. These vessels are very economical to run and produce much lower CO2 emissions in comparison to even small aluminium CTVs. They have a shallow draft and can be used close inshore whilst also having a moveable wheelhouse which allows them to be configured for optimum operational capability allowing more deck space fore or aft as required for dedicated workshops or cargo. Five of the vessels are certified to MCA Cat 2 and the last two additions to the fleet to Cat 1 and are capable of 25 knots and only use 150 litres per hour at a cruising speed of 22 knots. 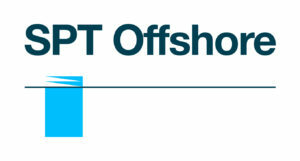 OTS has a dedicated service department available 24 hours with rapid response teams across UK and Europe and each vessel has a full range of key spares and skippers and crew are trained to follow a pro-active maintenance regime in order to ensure vessel downtime is minimised and this has resulted in a 99.30 per cent vessel on contract uptime statistic since 2012. As well as providing safe and efficient personnel transfers, the company also has experience in equipment and fuel transfer offshore. It also provides support vessels for blade inspection, cable laying and ROV operations. Their vessels have also been used as guard vessels and to support marine civil engineering work such as the Phillips 66 pipeline in the Humber River where they worked with Van Oord. The company first started on the London Array and Gwynt-y-Mor wind farms back in 2012 but since then it has worked on the majority of the wind farms in the UK as well as in Finland, Holland, Belgium and Germany.